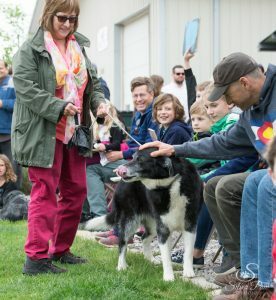 2018 Mutt Dog Show at Wolverine Farm Letterpress & Publick House although a bit chilly had an impressive turnout. 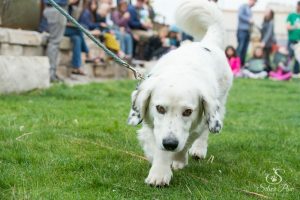 Two dozen dogs paraded across the lawn in costumes, did special tricks or showed off excellent obedience skills. Kids throughout the audience held their scores high on little chalkboards. 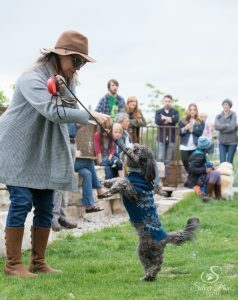 We packed the outdoor gathering area with humans and pups having a grand time at this annual low-key event. 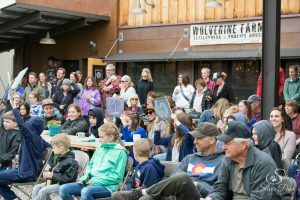 This is one of many off-beat happenings at Wolverine Farm in Old Town Fort Collins, Colorado. 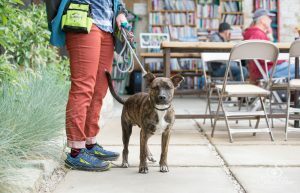 As the Letterpress name implies they of course have regular writing classes, poetry workshops, book sales, study hall and more. 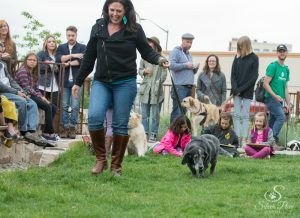 They also host The Prettiest Chicken Contest, craft classes, bike in movie nights, and the pop-up petting zoo. Their gift shop is full of note cards, books, and fun trinkets. The cafe serves coffee to wine and yummy pastries. And add Wolverine to your art walk as their upstairs meeting room is lined with fine art. Gift Certificates & Studio Credit Available On-Line Now!